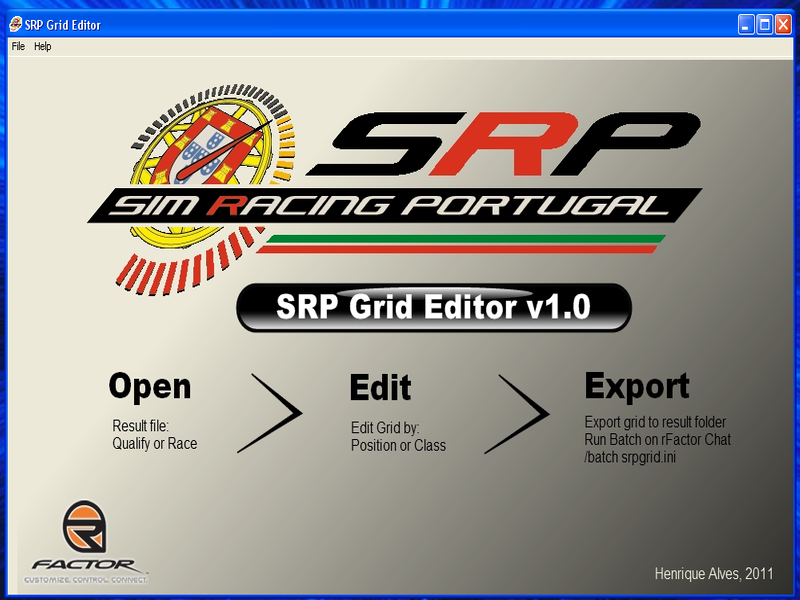 SRP Grid Editor is a simple grid editor that allows you open qualify and race results and edit them into a new grid. You can edit the grid by absolute position or class position. 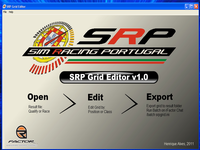 1 - Run SRP Grid Editor.exe and open a result file(qualify or race) 2 - edit the grid by selecting one option. 3 - Press the export button and save the file into your results folder. If you opened a file from your results folder, by default it will point the savefile to that same folder. Im not quite sure how to work this. I edit the grid and export it, then go into the warmup session and write /batch srpgrid.ini and press enter, then skip to next session (race) and nothing happens. If anyone could please explain to me what I'm doing wrong that woukd be great. How does this work? Where are the result files? The file has been downloaded 155 times. Tested it right now, and it was OK.